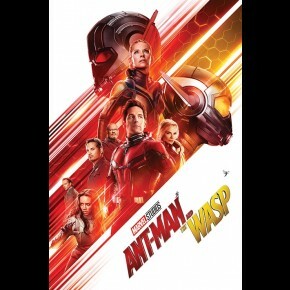 TV & Film posters - Marvel and DC Comics posters - Ant-Man posters: Ant-Man and The Wasp poster featuring the two lead characters from the 2018 Marvel superhero movie. 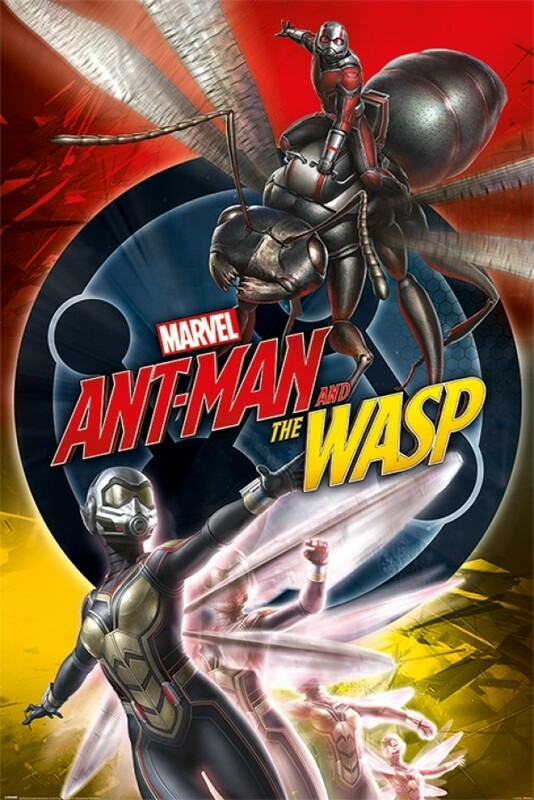 Ant-Man and The Wasp stars Paul Rudd as Ant-Man / Scott Lang and Evangeline Lilly as The Wasp / Hope Van Dyne. This poster features Ant-Man, The Wasp in action together.. Official Marvel Ant-Man and The Wasp poster.